I am a vinegar lover so I am always willing to try anything soaked in it! 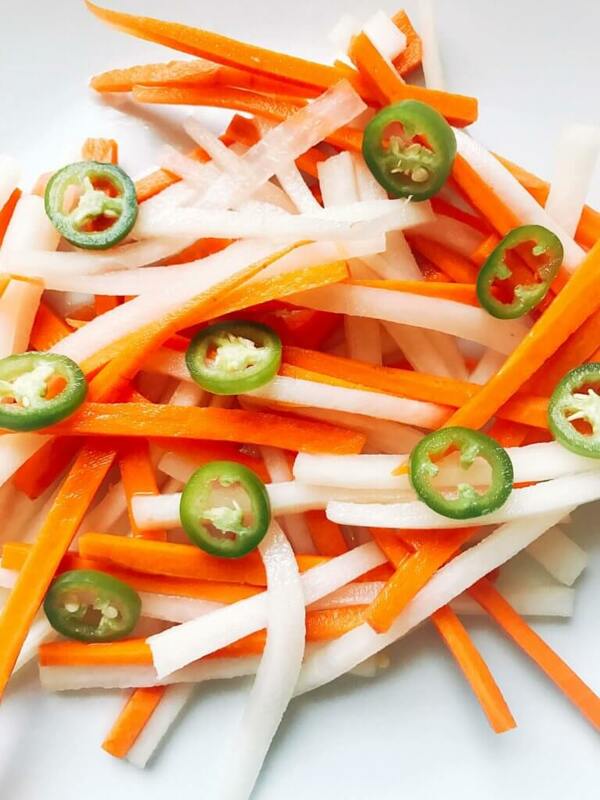 But even if you do not like vinegar, these Spicy Vietnamese Pickled Vegetables are a great condiment. I have been intrigued by this Bánh Mi craze of Vietnamese sandwiches, and pickled vegetables are one of the main condiments used in a bánh mi. The slaw is typically carrots and daikon radish, which is what I have used here. But you can use anything you like, such as cucumber, all carrot, red radishes, etc. 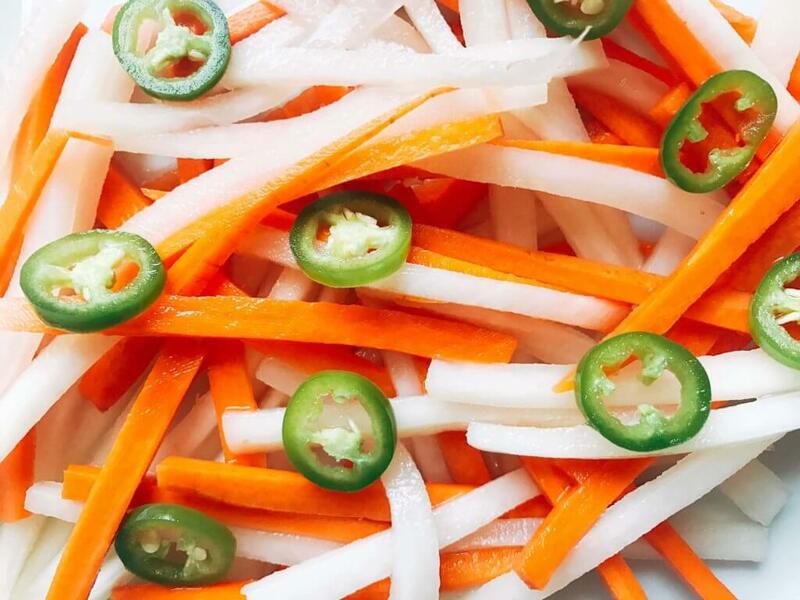 These Spicy Vietnamese Pickled Vegetables provide some crunch, tang, and texture to whatever you put it on. I am INSPIRED, guys! 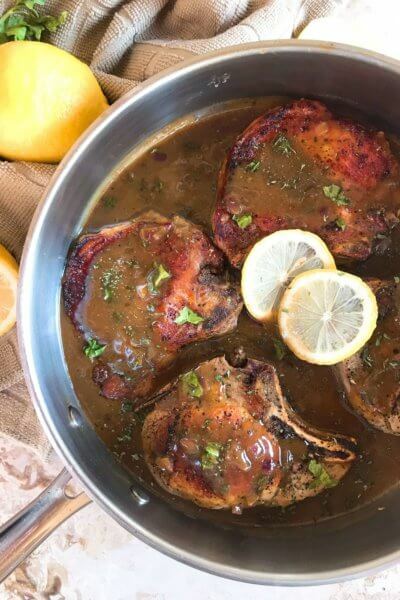 I have so many ways that I want to use these, so make sure you keep checking in for all of my recipe inspiration. I have a bunch of mason jars in the house that I use for so many things! You should grab yourself some if you do not have any. 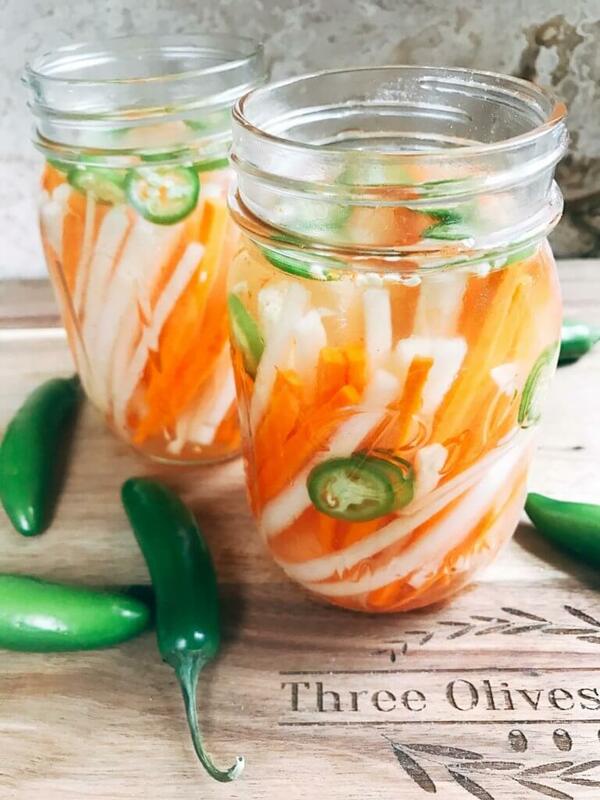 Not only are they perfect for things like these Spicy Vietnamese Pickled Vegetables, but they are also fantastic for freezing batches of food. I make large batches of spaghetti sauce, gumbo, chili, and more and then portion them out into these jars. 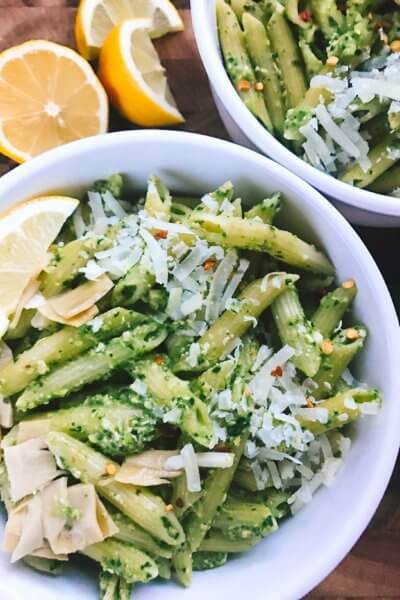 It is a great way to have delicious food ready to go for an incredibly fast meal! I’m going to be making all sorts of amazing dishes with these from burgers to pastas to tacos! 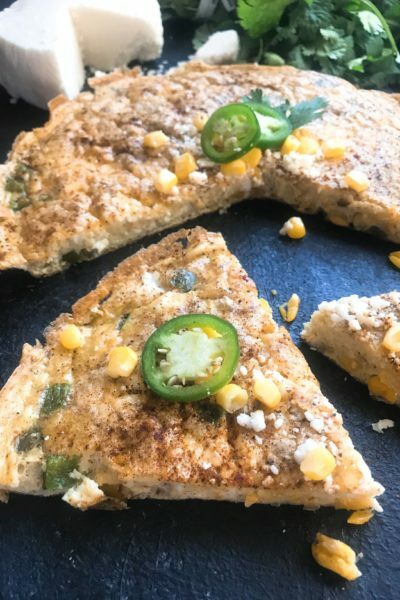 Subscribe to our site to receive notifications about new recipes at the top or right of this page! 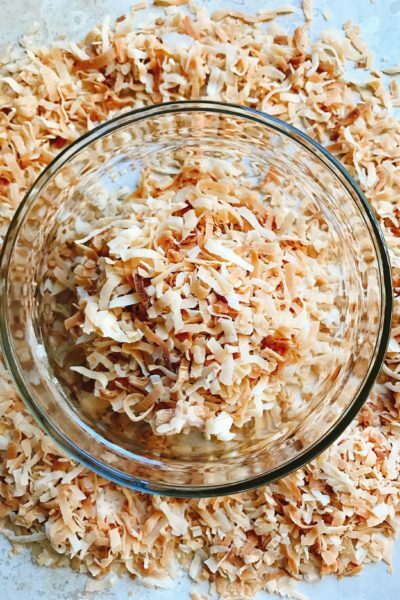 In a small pot over high heat, combine the vinegar, water, salt, and sugar. Stir to combine and boil until the sugar is dissolved, approximately 3-5 minutes. Remove from heat and set aside. Meanwhile, cut the carrot and radish into matchsticks. Make sure they will fit in the mason jar or container you are using. I made mine approximately 4" long and 1/8" thick. Mix the carrots and radish together, and put them in two pint sized mason jars. 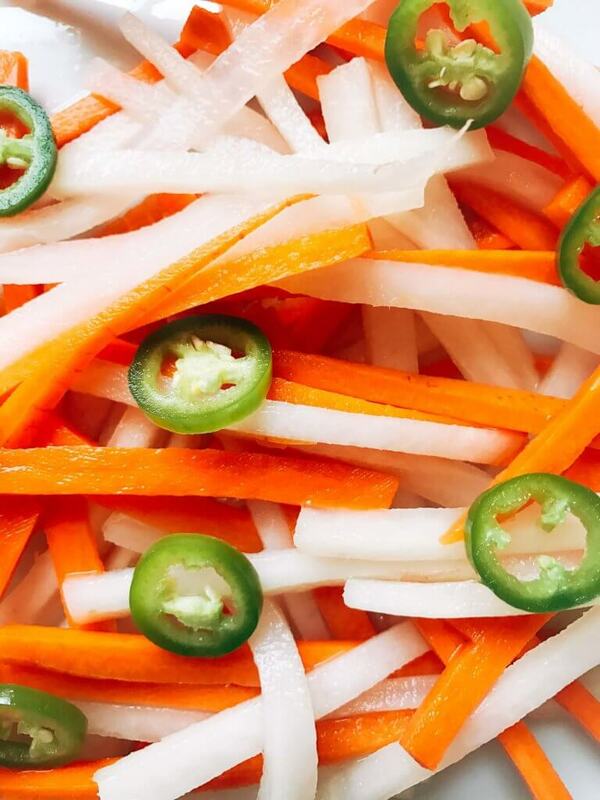 Slice the serranos thinly and place one pepper worth in each jar with the carrot and daikon. Pour the vinegar mix over the vegetables. Cool to room temperature, screw on the lid, and refrigerate. Refrigerate at least one hour before serving, or up to five days. The longer you leave them, the softer the vegetables will become and the spicier they will be. 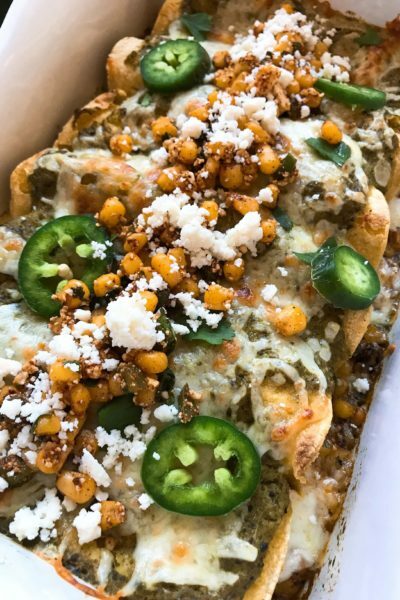 Adjust the amount of serrano that you use based on how long they will be sitting and how spicy you want them. 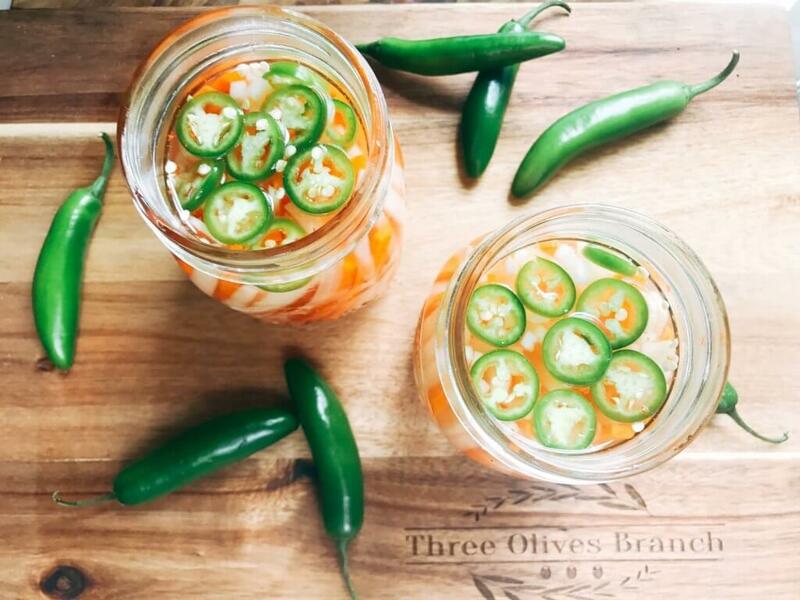 The longer you leave the vegetables to pickle, the spicier they will become. Use less serrano (or none at all) if you want a mild spice or are leaving them for several days. These vegetables are great with your Bánh Mi or even as a snack! 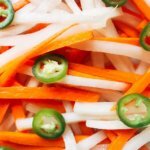 Find some unique recipes of how we have used these Spicy Vietnamese Pickled Vegetables here, like our Sweet Chili Bánh Mi Chicken Burger! Use any vegetables you like, such as cucumber or all carrot.